Senior trade officials from eight member countries of the Association of Southeast Asian Nations (ASEAN) began a visit to the US on May 2 with the aim of enhancing the bloc’s trade relations with the world’s largest economy. 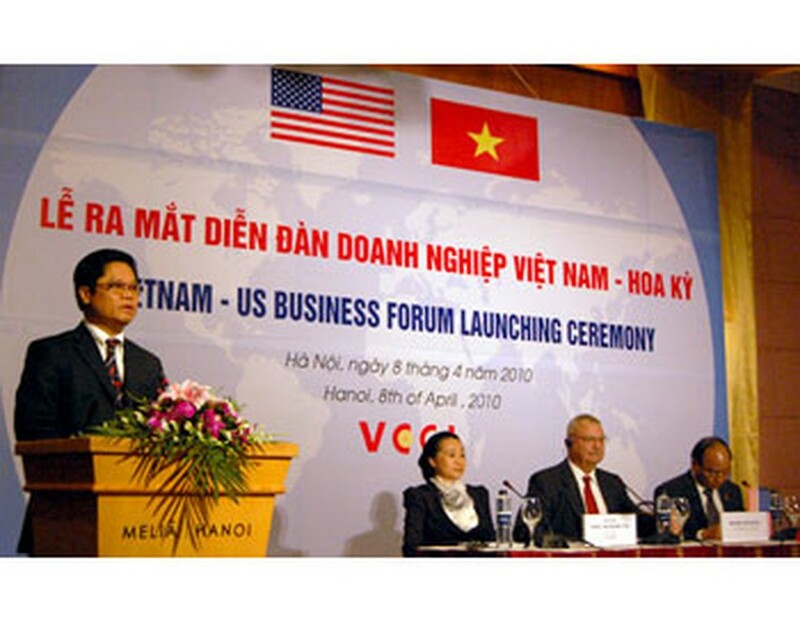 Vietnam-US Business Forum launching ceremony is held in Hanoi on April 8, 2010. The participants include Vietnamese Deputy Minister of Industry and Trade Nguyen Cam Tu, trade ministers from Indonesia , Cambodia , Laos , Malaysia and Thailand , trade deputy ministers from Brunei and the Philippines , and ASEAN General Secretary Surin Pitsuwan. Organised by the US-ASEAN Business Council (UABC) and the Office of the US Trade Representative, the trip serves as a chance for the trade officials to introduce investment and business opportunities in developing markets in Southeast Asia . In its press release issued on May 2, the UABC said the ASEAN is striving to establish a common economic community modelled on the European Union by 2015. The would-be common market boasts close to 600 million consumers and a combined gross domestic product GDP of 1.5 trillion USD, the council said. US Trade Representative Ron Kirk said Southeast Asia plays an increasingly important role as a leader in the process of trade and economic reforms. The ongoing visit marks progress of growing relations between the US and Southeast Asia – a major partner of the US in pursuit of a plan to double its export value by 2015, Kirk stressed. 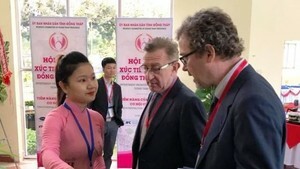 UABC President Alexander Feldman said over the past 25 years, the council has been fostering connectivity between Southeast Asia and the US business community, helping to increase bilateral trade by seven times to 180 billion USD. Feldman said the ASEAN delegation will pay a call at Washington state that exported 5 billion USD worth of commodities to Southeast Asia in 2008, up 42 percent from 2002. The delegates will also visit Washington D.C on May 5-6 to discuss with the local authorities, businesses and leaders of the Congress measures to step up trade ties. The ASEAN is the fifth biggest trade partner and the fourth largest exporter of the US , with two-way trade reaching 180 billion USD in 2008, including 66 billion USD from the US ’s exports. The flow of US investments in the ASEAN hit 150 billion USD two years ago, the largest amount poured by the US into a region in Asia .